NOCtoberfest – what a hoot!!! 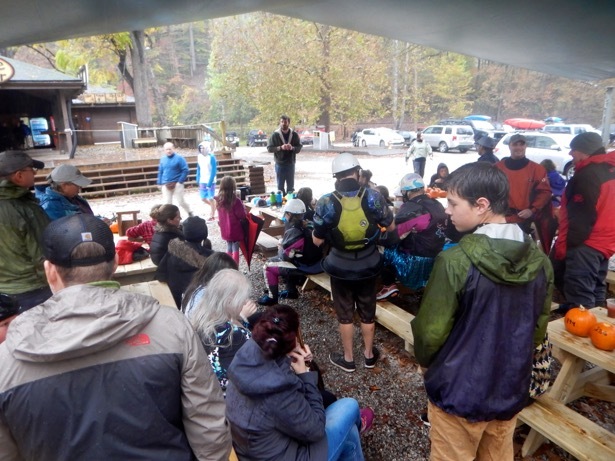 NOCtoberfest at the Nantahala Outdoor Centre is a great FREE community event held on the Saturday before Halloween. 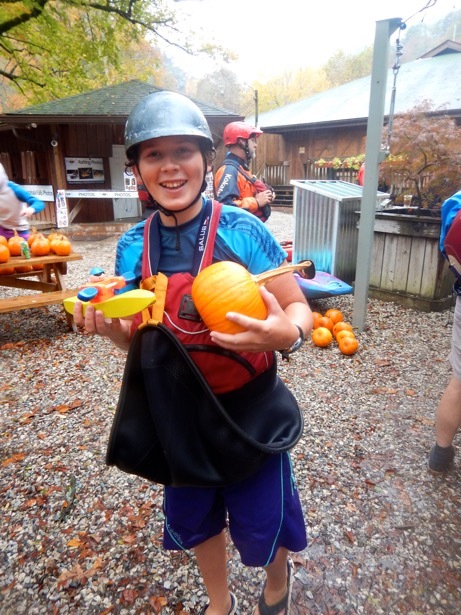 There is pumpkin carving, halloween costume contest, face painting and the culminating event – the great pumpkin chase! 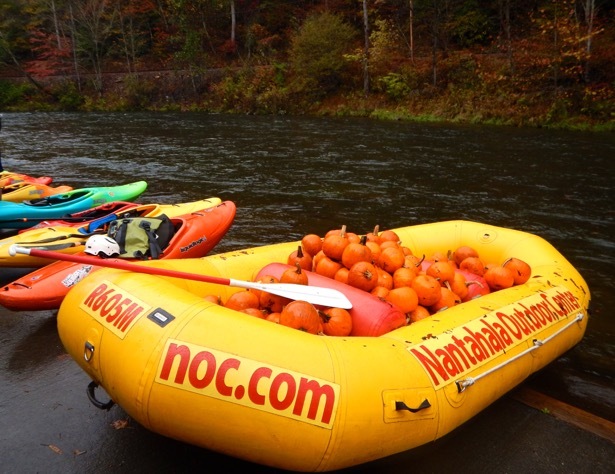 385 pumpkins are loaded into three NOC rafts, each one with a number on it. 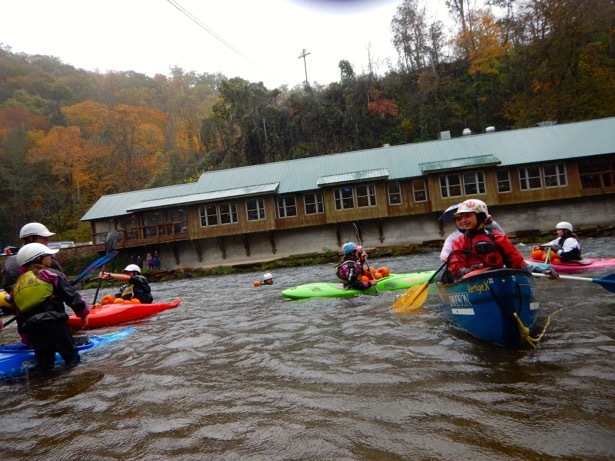 The rafts are paddled from the concrete beach down to the take out beach while tossing the pumpkins out into the river. It is absolute chaos – in a really fun way. All is fine and dandy in the first few minutes of flat water. 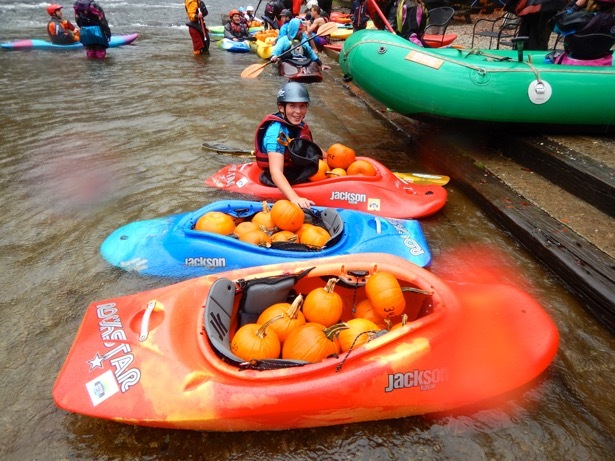 It’s a bit like kayak polo where everyone is chasing after the pumpkins bobbing along in the river. 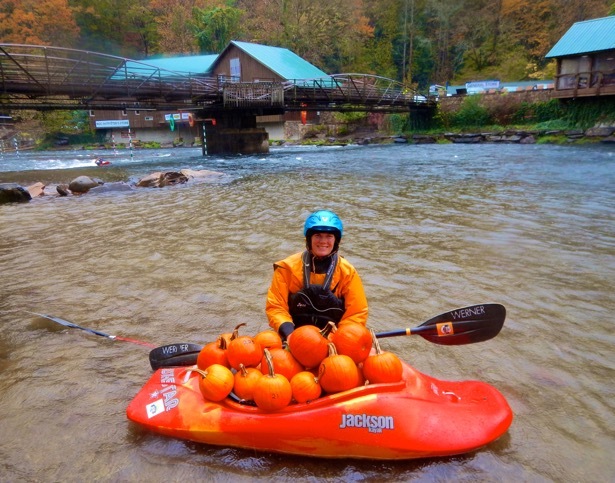 Kayakers have their skirts off and are frantically stuffing pumpkins into their boats. 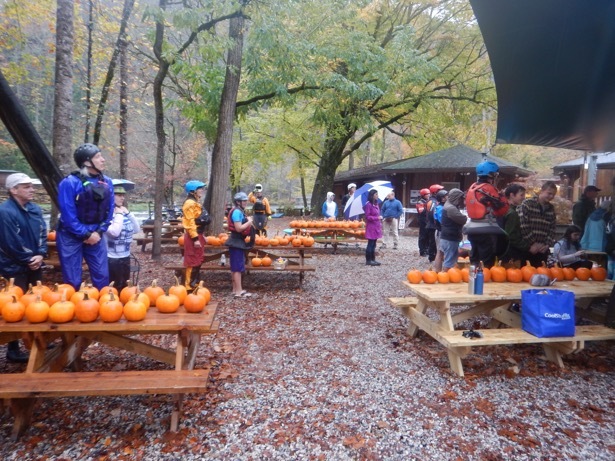 If all goes well, you manage to pull your skirt over your pumpkins before heading through the Falls rapid. Tim definitely mastered the activity and filled his boat to the max. Between the three of us we managed to collect 33 pumpkins! 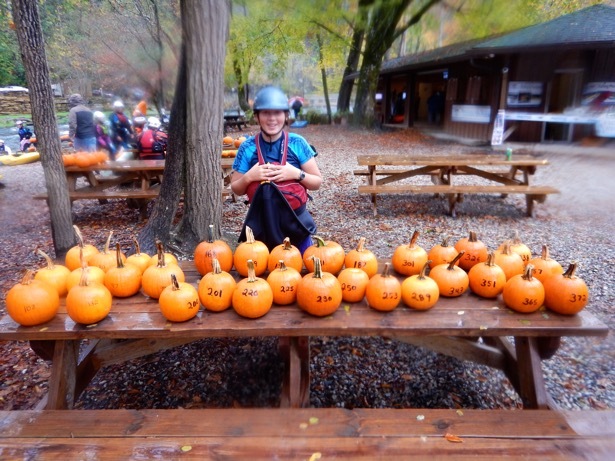 Once everyone ends up at the bottom of the river and gets their pumpkin hauls organized, there is the prize giveaway… NOC generously provides over $400 in prizes (as well as the pumpkins). 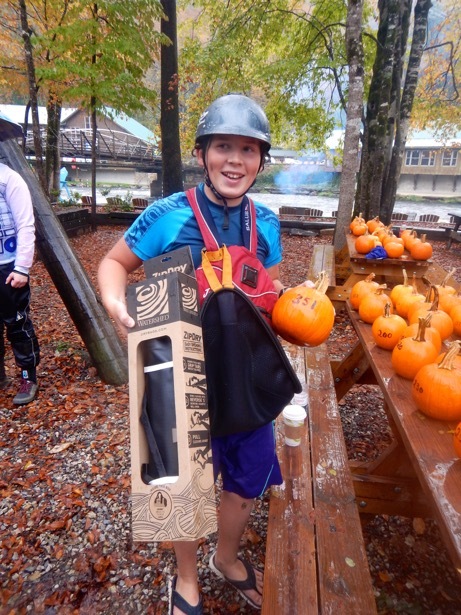 The darn Canadians were pretty successful and came away with a new Watershed Drybag, a long awaited Foamy Boater and a glow in the dark nalgene (doesn’t everyone have one of those?). We definitely recommend this as a family friendly event. It was cool and pouring rain all day today and yet still so much fun. Kids were in and out of the water all afternoon – like anything, just dress for the occasion and get outside and have fun! One Response to NOCtoberfest – what a hoot!! !